Woodworking professionals work in an environment that creates wood dust during the production process. The presence of this dust necessitates the use of an efficient system to reduce, collect and remove the dust to help meet OSHA requirements to provide a safe work environment. There are also additional National Fire Protection Assn. dust control guidelines that are used as requirements by OSHA. Failure to meet these requirements could result in down production and substantial fines. How your plant collects or handles dust can have negative effects beyond potential OSHA fines. Dust can be a serious health and safety hazard if not properly controlled. Dust can cause respiratory, skin or eye problems for employees. It can also contaminate your products, shorten equipment life and even create a potential combustion situation. 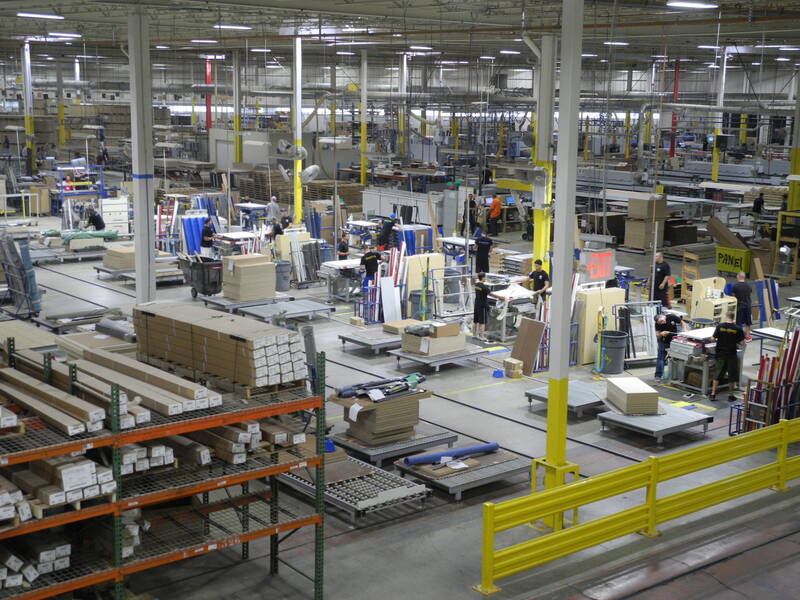 Many manufacturers are still sweeping up or blowing the dust away from work areas. This only makes the problem worse. The best place to handle dust is at the source where it is produced, and vacuuming is the best method to capture and remove it. In a typical woodworking production plant, large production equipment has hoods, manifolds or other attachments that extract and/or vacuum the dust produced by the equipment during the production process. But other equipment and processes can also produce or spread dusts and other contaminates. These can include hand tools and your dust cleaning process. Dust produced by hand tools is often collected by low vacuum systems on tables where the work is performed. This is ineffective, leaving too much dust behind to spread in the air or be trapped in the table area. Low vacuum systems use more energy because they require a high air volume, but produce a low capture velocity (100 – 5,000 fpm). Low vacuum systems use a 4- to 6-inch diameter hose and are inflexible due to the hose size and because the hose is connected to the table, not the tool which is the source of the dust. The most effective and efficient method to capture dust produced by hand tools is to use high vacuum dust extraction systems that are connected to the tool (also known as on-tool extraction). 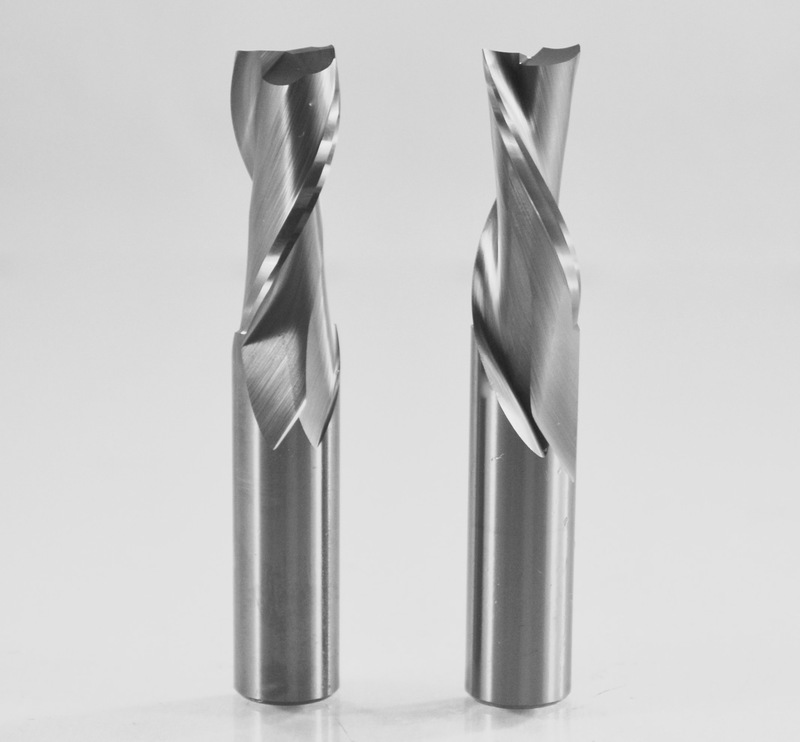 This method can be up to 99 percent efficient and almost any tool (grinders, sanders, cutters, drills, welding torches, etc.) can be fitted with a manifold for at-the-source dust extraction. High vacuum dust extraction systems are also more energy efficient, utilizing a collection hose of only about 2 inches in diameter. The system requires only a low air volume, but produces a high capture velocity of 10,000 – 15,000 fpm. The small and flexible hose allows the use of boom arms and hose reels, which enables the worker to use the on-tool extraction in a large area. High vacuum extraction systems can be mobile, portable or stationary. These systems can also offer HEPA filters and auto start/stop vacuum as options. 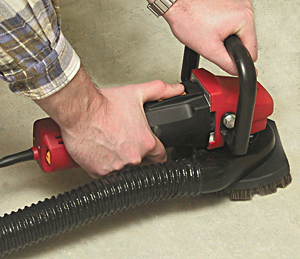 The vacuum source can be from stationary vacuum units, portable vacuum units (Industrial vacuum cleaners), that are air powered or electric powered, and the hand tools themselves – including hand operated orbital sanders, belt sanders, planers, routers, cut out tools and variety of clean up wands. Central and portable high vacuum systems are designed to collect combustible wood dust and operate in an environment where combustible dust is present. The system is most commonly used for on-tool extraction or for at-location house cleaning/vacuuming by offering multiple drops where vacuuming lines can be connected. High vacuum systems can handle multiple drops, so a shop can add hoses to vacuum when and where it is needed, whether for use on hand tools or for cleaning production areas. The high vacuum filter unit can also be placed in a separate room, allowing quiet operation. The filter cleans the air before it is released into the atmosphere. That air could also be recycled back into the work area, saving heating or cooling costs. High vacuum systems operate at pressures five to ten times higher than standard dust collection systems. The dust is extracted at the tool, not collected there – the dust is vacuumed to a collection unit which can be portable or in a fixed position. 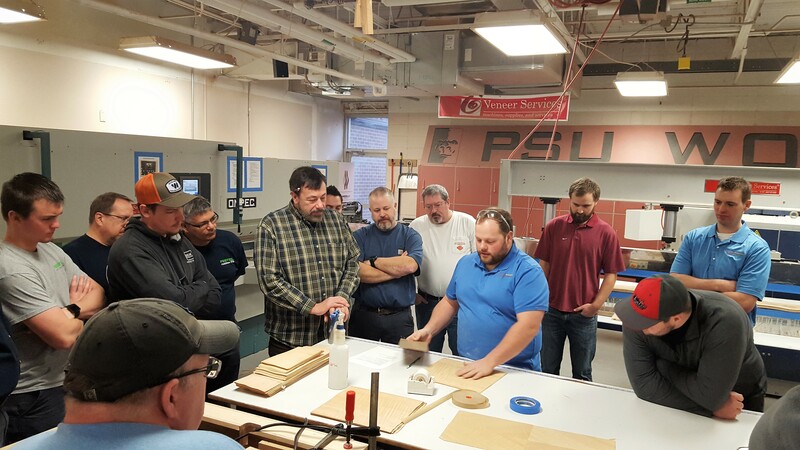 Nederman currently offers more than 600 on-tool extraction kits for most tools for cutting, grinding, and sanding, and will manufacture a custom shroud to fit most other common hand tools. Also, Nederman will recommend certain manufacturers that offer functional and efficient dust capture shrouds. Nederman offers all of the system components for both central and portable high vacuum systems, including accessories, pipe, hoses, swing arms, valves and tool balancers. Don’t continue to just move the dust around when there are solutions that will allow you to efficiently collect and remove it. Protect your employees and avoid OSHA fines, production downtime and contamination of your equipment by removing the dust at the source.